I had such high hopes of reading a ton of books this fall. It was going to be me and a scented candle and a pumpkin beer and my couch and a cozy blanket and a great book. Every single night. But then we decided to move and that kind of changed things. Suffice it to say that my dreams were never realized and I didn’t do much reading over the past few weeks. Here’s what I did read, though. // The Runaway Wife – This book was good and I would recommend it, but it was easily forgettable. As in I didn’t even remember reading it when I saw the title and had to look at the summary to remember what it was about. And then I thought “Ah yes, that book. That was a good one.” So I think you should probably read it, but I wouldn’t bump it to the very front of your list. It’s about a woman who leaves her abusive husband with her daughter and rediscovers herself in a small town… and there’s some family drama and a romance thrown in. You know, the usual. // Those Who Leave and Those Who Stay – The third book in the Neapolitan Novels. As I said before, you need to read these books. 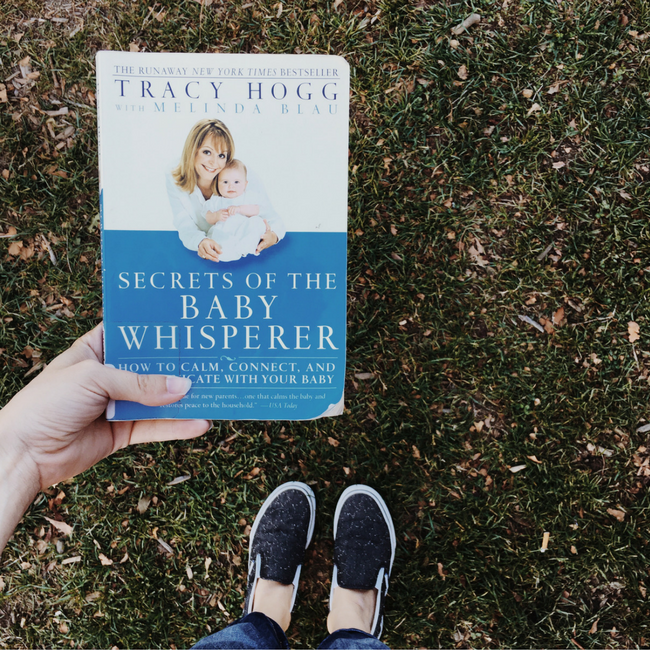 // Secrets of the Baby Whisperer – Highly recommended. I love how this author acknowledges that babies have unique temperaments and are also small humans who should be treated with respect. She talks about communicating with babies as if they are people, because they are! I also love her advice on getting in a routine, which is something we did recently with Isabelle and it has really helped us. I consider this one a ‘must read’ for any mom with a new(ish) baby – even if it’s a second or third child! // The Story of the Lost Child – The fourth and final book in the Neapolitan Novel series. I was sad when this one ended because I don’t have any more books left in the series to read! Have I mentioned you should read these books? You should. // The Interestings – I really liked this book. It’s about teens who meet at a camp and who grow up and become adults and the friendships that continue. It just made me think a lot about relationships and life and privilege and family and friends I met a long time ago and those whom I met recently… Just some good stuff. I recommend this one. // Is Everyone Hanging Out Without Me? – I heard good things about this book (and I love Mindy Kaling in ‘The Office’), but I thought this book was very ‘meh’. As in, I wouldn’t even recommend it. Although, the one chapter about her dating boys vs men really made sense to me and I wish I had read it in my dating days! But really, this book wasn’t hilarious and I thought it read more like a blog because the chapters were really short and all on different topics. I didn’t like Amy Poehler’s book either, so maybe it’s just me. So there were a few good book recommendations in there! But now, unfortunately, my to-read list is ridiculously short. What should I read this month?! I really, really need some great books to dig into! Adding The Interestings to my list! Yay! I’m always on the hunt for new books to read 🙂 Thanks friend! ME TOO! Let me know if you have any recommendations! Downloading the first of the Neapolitan Novel series! It looks a little outside of what I usually read, but we have similar taste so I’m going to go for it! Then I’m extra-interested in knowing whether you like them or not! What do you think?! Your list isn’t too short! Especially for moving houses in there! Adding a few of these to my list!! I agree re: Is Everyone Hanging Out Without Me… I loved Tina Fey’/ book and I wanted to love these other comedian books too, but they just left me feeling a bit meh. Amy Poehler is up there on my list of favorite celebrities, but I liked the stories about her in Tina Fey’s book better than her own book!! I keep thinking about that part in The Interestings that talk about how Ethan has a hard time relating to and coping with his son because he’s afraid his son will make the things about himself that he’s tried to hide become public and obvious… thought that was absolutely brilliant. I actually haven’t read Tina Fey’s book… so that one is better? Adding it to my list now. I totally remember that part in The Interestings. It stuck with me. There were a few lines of that book that were surprisingly deep and I think that’s why I liked it so much. I thought Tina Fey’s was good and so funny! I’ve heard that the audiobook is amazing, she narrates it herself and it’s supposed to be even funnier to hear her telling her own jokes out loud.